Fishing expeditions are brilliant. The open waters are incredible for relaxing your mind and for reducing stress levels and getting that big catch sure does give you something brilliant to talk about or brag about on your social media account. 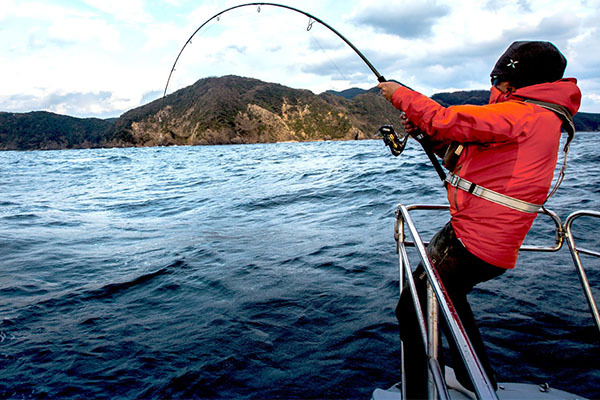 While you are busy planning your next big fishing expedition you can also consider these tips to help you survive those sunny expeditions without getting sunburnt or heat exhaustion. The hotter it gets, the less we tend to wear and this is a huge mistake. Those UV sunrays are no joke and can cause terrible skin burn and can even result in skin cancer. Modern long sleeve fishing shirts will protect your arms, neck, and body from sunburn while you are out there having fun in the sun. These shirts are developed from specialized UPF 50 fabrics that will protect you from the sun. But that is not all. These shirts also look great, they are light and breathable and actually keep your body nice and cool. They are also available in various colors, sizes and you can find ranges for men, women, and children. It is important to stay hydrated when you are out fishing. Dehydration causes damage to your organs and brain. Stock up on lots of water so you can drink up and stay cool. Cool beverages are terrific for cooling down your body when it gets too hot. You can also use the ice or ice packs to cool down your body if things get too hot. It is best to avoid the waters when the sun is at its hottest, especially since UV rays are also reflected and intensified by water. Enjoy early morning or evening fishing expeditions and use those hot times for other adventures or for a nap. It is probably best to avoid the waters between 11:00 am and 4:00 pm unless you are sitting in a shady spot. Good quality UV shades will protect your eyes and will keep those bright reflecting sunrays from blinding you while you are out there on the open waters. A good sun cap or hat is a must if you are going to spend lots of time in the sun. The more sun protection you have, the better. If it is particularly hot then perhaps consider taking along a portable battery operated fan to keep you chilled when the winds are quiet. Sunscreen is a great help if you are spending a lot of time in the sun. These creams prevent sunburn and also enable your body to tan nice and dark brown without the pain. Many sunscreens also contain insect repelling oils or fragrances to keep the bugs off when you are out there on the waters. If you start to feel bad heat stroke symptoms such as fatigue, a headache, dizziness, blurred vision or more then perhaps it is time for a break from your fishing break and to start looking for a cooler activity to try such as swimming.